New report identifies a rush to embrace innovative technologies is creating new attack surfaces via cloud, IoT, mobile, blockchain, machine learning and AI. 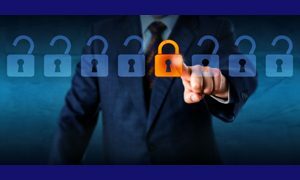 SAN JOSE, Calif., Dec. 4, 2018 /PRNewswire/ — Thales, a leader in critical information systems, cybersecurity and data security, announces that digital transformation is driving turmoil among U.S. financial services organizations and leaving sensitive data at risk according to its 2018 Thales Data Threat Report, Financial Services Edition. The U.S. financial services industry has hastily entered the digital transformation era, but this is not balanced with appropriate security measures. Almost two thirds (65%) of U.S. financial services organizations have now suffered a data breach, with 36% having suffered a breach in the past year – and that figure has more than doubled in the past two years. Cloud usage with sensitive data is especially high in the financial services industry at 85%. Multiple cloud usage is also high with 64% of organizations using more than 25 SaaS applications and 57% using 3 or more IaaS vendors. This creates a new problem of how to secure data cross multiple cloud deployments. Security spending is up but not aligning with the new risks. While 84% of organizations report a spending increase on IT security, and 33% registering a significant increase, they are not spending IT security dollars where they matter most. The majority (88%) of IT security pros acknowledge data-at-rest defenses are most effective at protecting data, but only 58% registered a spending increase for those specific tools. Fifty-six percent recognized encryption as the top tool required to increase cloud usage and 71% recognize that managing encryption keys across multi-cloud environments is a problem that needs to be solved.